Serta Perfect Sleeper Two Sided Hotel Mattress. Home → Hotel Bedding → Serta Perfect Sleeper Two Sided Hotel Mattress. 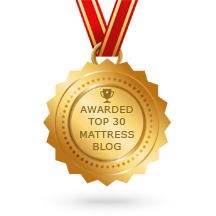 What is your take on the Serta Perfect Sleeper two sided hotel mattresses? I don’t see memory foam listed among the components. I’ve noticed, recently, that the mattresses now being made for hotels do not include memory foam…from Sealy and Simmons, as well. It’s a pity that they are not being made for the retail market. In this case, you have a continuous wire coil unit…something Serta came up with in the 1980s. Before memory foam, when it was difficult to buy a bad mattress, the Serta Perfect Sleeper was the worst of them…thanks to this coil system. Each row of coils is made from one looong wire. The problem was then, as it is now, that each coil configuration is turned only twice. that coil only has 2 turns. For durability, the optimum number of turns is one for every inch of height. Each of these Serta coils is 6” high, with only 2 turns…far less than optimum. In short, it’s a lousy coil system…and has been, ever since it was introduced, more than 30 years ago. King: Width: 76 Length: 80 Weight: 75 lb. Cal King: Width: 72 Length: 84 Weight: 75 lb. Queen: Width: 60 Length: 80 Weight: 60 lb. Full: Width: 54 Length: 75 Weight: 45 lb. Twin: Width: 39 Length: 75 Weight: 40 lb. Twin XL: Width: 39 Length: 80 Weight: 45 lb.